Sitting just opposite of Plaza Las Américas, in the heart of Cancun, this hotel is at the perfect location for both holiday and business travel. Its guests will be at only a 20-minute drive from the International Airport, less than an hour from Playa del Carmen and within a short distance from the local attractions including Xcaret Ecological Park, Isla Mujeres and the Tulum archaeological site. Also due to its proximity to the Plaza Las Américas mall they will be just metres from a number of shops, restaurants and entertainment options. 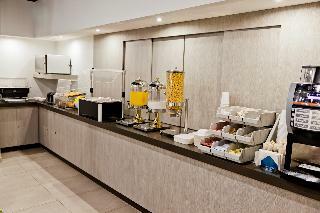 Guests who are just looking for a delicious meal can also try the onsite snack bar and its light bites and tasty dishes. 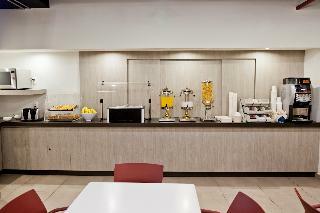 There is also a hearty complimentary breakfast for the early risers, but those who can't take advantage of it will be well excused for taking their time in the comfortable and cosy hotel rooms. 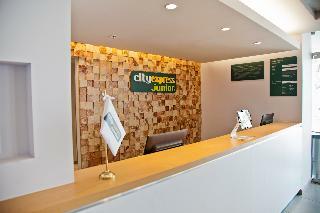 City Express Junior Cancun is an amazing Cancun lodging choice for your trip to Mexico. 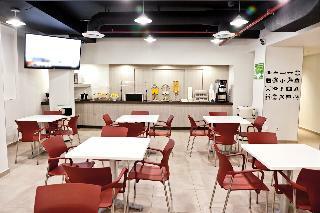 With numerous amenities for guests such as room service, free full breakfast buffet, 24 hour front desk, you will wake up at City Express Junior Cancun feeling ready to go every day for your time in Cancun. Don’t let this amazing reservation opportunity pass you by, book your stay at City Express Junior Cancun today to make the most of your time in Cancun, Mexico.